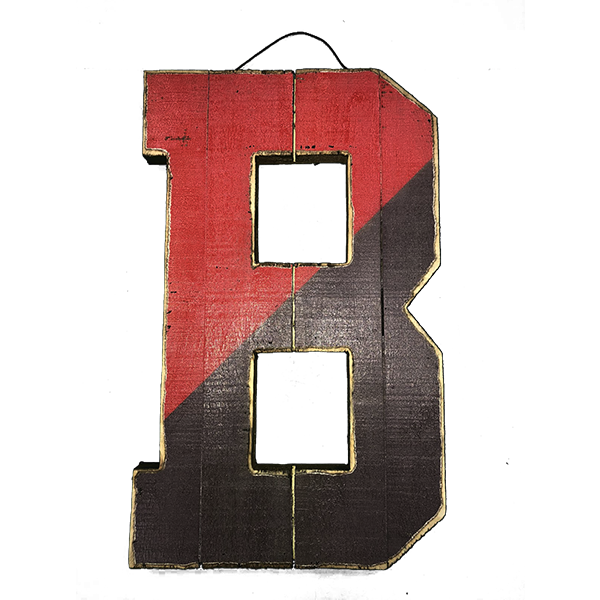 Wooden sign with "Home Sweet Home" printed next to Crest on red background. Measures approx. 12". 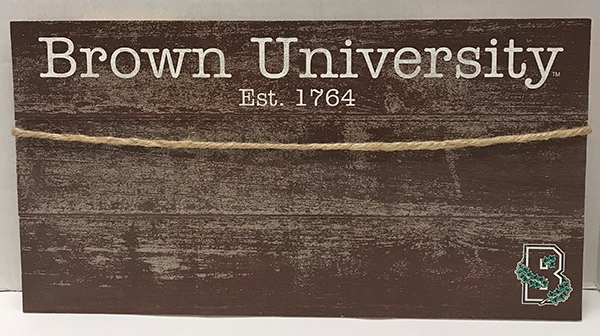 Wooden sign with "Brown University" next to Crest on white background. Measures approx. 20". Alderwood photo frame. Fits 8x10 photos. Crest imprinted along top edge, Brown University imprinted along bottom edge. Vertical picture frame available in red or black. Features 'BROWN UNIVERSITY' at base in white. Please select option for Brushed Metal Vertical 4x6 Picture Frame. 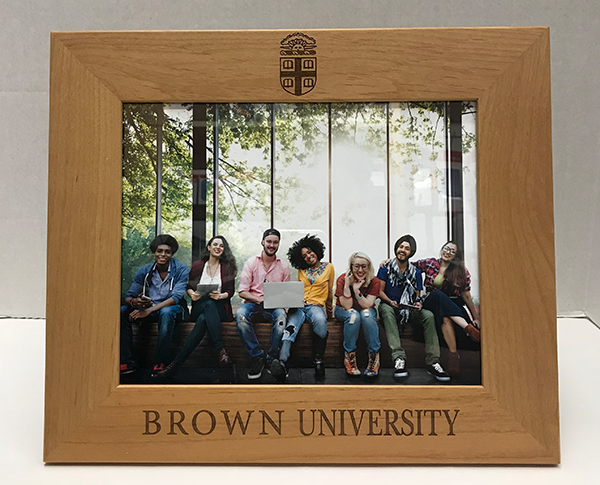 Large wooden sign with Brown University printed along top, above Est. 1764, and Ivy B logo in lower right. Features rope hanger and 3 clothes pins to pin photos to. Wooden sign designed like a shipping pallet. 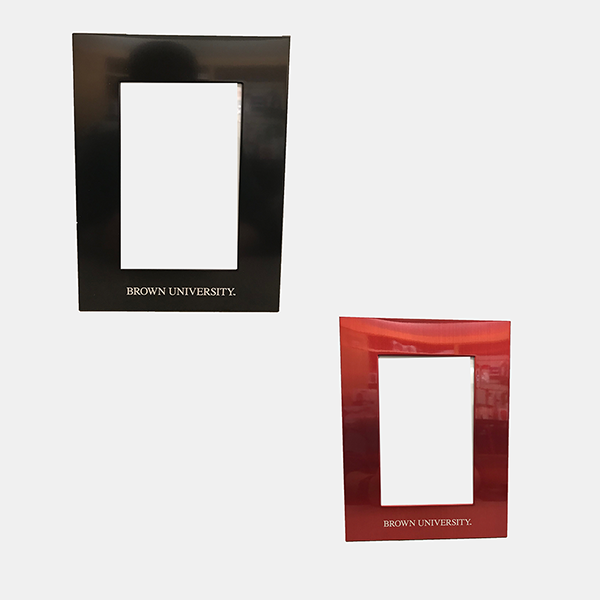 Individual signs say "Pride" in brown on white, "Honor" in white on brown, "Tradition" in brown on white, and "Brown University Est. 1764" in white on brown. Also features rope hanger. Gold-framed mirror and print with a scene of the Van Wickle Gates including Manning Hall, Hope College, and Carrie Tower. 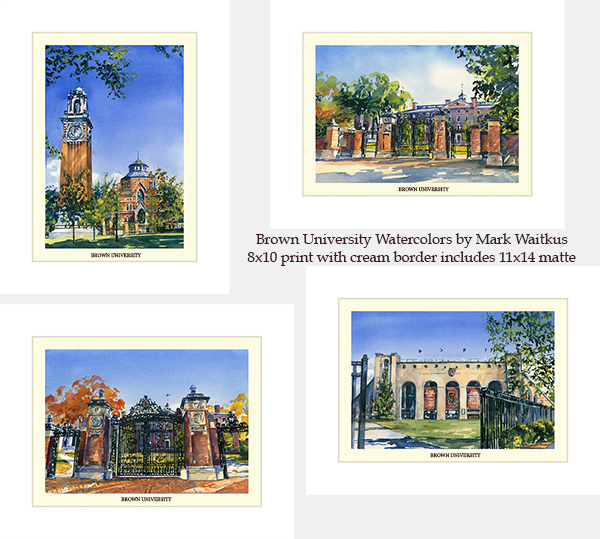 'Brown University' and 'Providence, Rhode Island' imprinted at bottom of print. 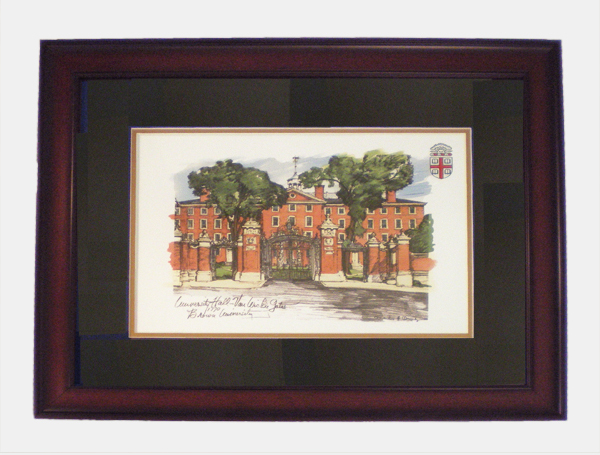 Gold framed print with a scene of the Van Wickle Gates including Manning Hall, Hope College, and Carrie Tower. 'Brown University' and 'Providence, Rhode Island' imprinted at bottom of print. Scene of University Hall & Van Wickle Gate with Seal in upper right corner. Double-matted in gold and black matte under glass in mahogany frame. Hanger already installed. 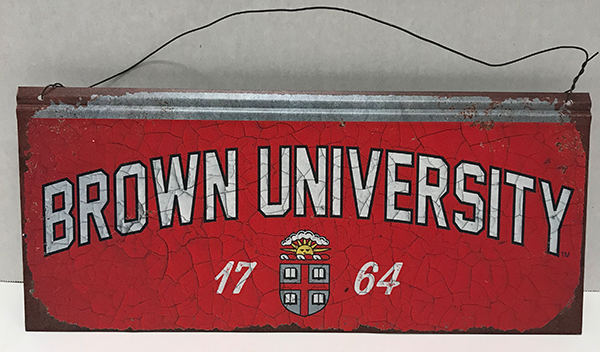 Red tin sign with Brown University printed in white above 1764 around Crest. Features faux rust coloring on edges and wire hanger. Small, brown wooden plank sign. Crest and Brown University printed across face. Features rope hanger. Available in Red or White. Features Brown seal in white (on red) or brown (on white). 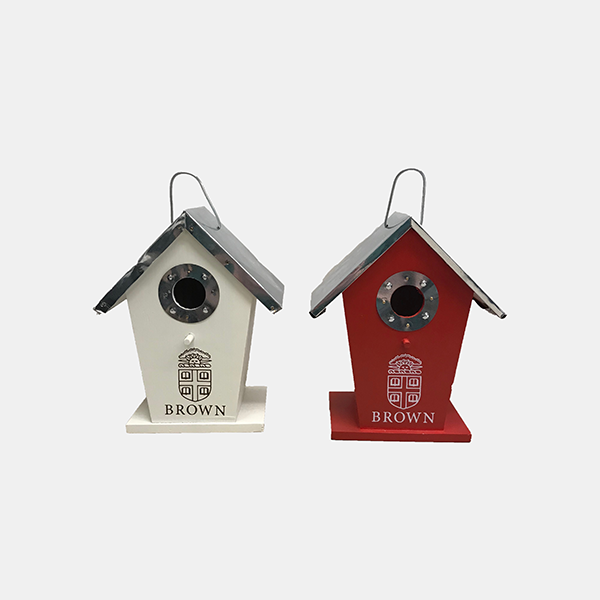 Please select option for Wood/Tin Birdhouse - $29.99.